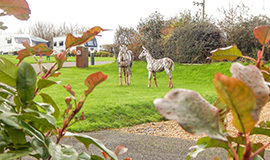 Our friendly, award-winning adult only touring park is a pure countryside retreat. 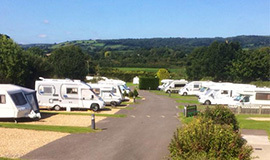 Surrounded by the Mendip hills, the touring park is convenient for the walks, cycle trails and villages which make the City of Wells special. Our adults only policy means you can enjoy the relaxed atmosphere with clean, high-grade touring facilities with just birdsong to break the peace and quiet. Touring pitches are all-weather hard standing with electric hook-up. An optional full service pitch adds the convenience of individual fresh water tap and grey water drain (RVs and 5th wheels units will need to call for bookings). Each pitch is accessed from tarmac roadways with park lighting and a red British phone box for your book exchange. 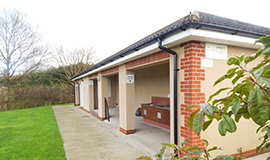 The award-winning touring park for grown-ups provides heated facilities with generous space for showering and plentiful hot water at no extra cost. Additional features include covered washing up area, freezer, laundrette machines and ironing board.